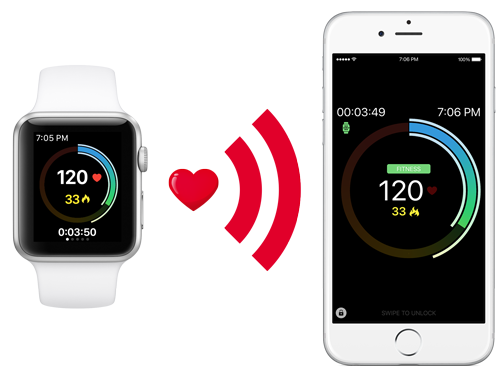 Starting with MotiFIT app version 3.0.0, running on watchOS 3 and iOS 10, LIVE STREAMING of heart rate and other workout metrics from Apple Watch to iPhone is now supported. Start your desired workout type. Tap on GREEN workout button at the Bottom. Requires MotiFIT version 3.0.0 or above. Due to some technology limitations, this is not supported on watchOS 2 and iOS 9.